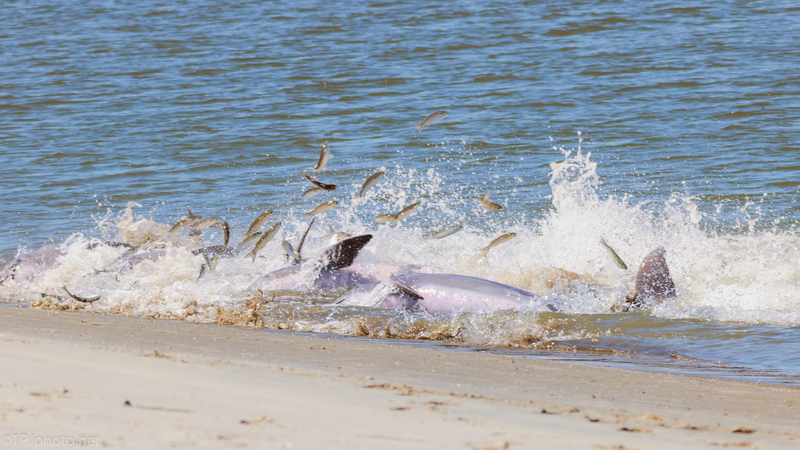 There a few things as spectacular as Dolphins stranding. If you are not looking you may miss the water seem to rise up. But when they hit the shore, enormous splashing waves immediately get your attention. Sometimes it’s a single animal, with a few small fish. But here, it’s a full Dolphin pod and a large school they pushed to shore. Did I mention they are almost the size of a Honda sedan? Wow, pretty cool shot! I’ve never seen them do this before! Thanks. They only do this in a few places in the world. The South Carolina Lowcountry is one. We have been documenting this for a while, a friend is creating a promo video for a conservation group that works with these specific Dolphins.